I listened to this book on my last road trip and after I returned to work, I discovered that it was one of PBS’s Great American Reads! 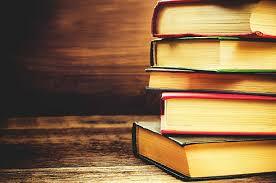 (Check out the Library for a display of these books or look online for a printable list of all 100 books. You can also vote for your favorite at any Davenport Library location.) I was already trying to read my way through as many of those books as I could, so I was happy that I had stumbled upon Americanah and that I could check this book off my list! 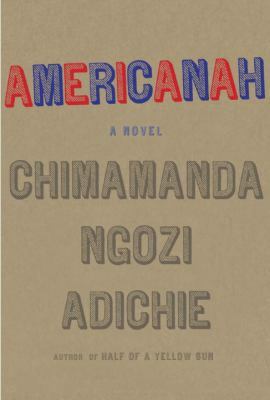 Americanah by Chimamanda Ngozi Adichie is the story of race, identity, and struggling to find yourself both away from home and at home. Ifemelu and Obinze fell in love when they were very young, living in military-ruled Nigeria. Both Ifemelu and Obinze were attending a Nigerian university when a series of university strikes began. Without a solid education and no other real plans in motion, Ifemelu and Obinze decided to leave the country. Ifemelu decides to leave Nigeria and head to America. She and Obinze work out a plan. Once he finishes school, he will leave Nigeria and come to her. In America, Ifemelu has academic success, but struggles to fit into black America. This novel wonderfully describes the African experience and how it differs between the USA, England, and Nigeria. Ifemelu may have found her way at an American university with academic success, but she struggles with understanding the differences between what is accepted in America vs what was/is accepted in Nigeria. To help her cope, Ifemelu decides to start a blog that talks about race issues in America. Obinze’s life is complicated in a different way. Not being able to head to America, he instead moves to England and ends up becoming an illegal immigrant. His journey is complicated like Ifemelu’s and he struggles to find himself amongst a country that wants to send him back home. Flash forward years and Ifemelu and Obinze find themselves in the same country again, trying to deal with past resentments, hurt feelings, and denials. Their current lives are under scrutiny as they each try to juggle their foreign selves with accepted culture and identity standards in place in Nigeria. Reuniting in newly democratic Nigeria after years abroad, both Ifemelu and Obinze have issues to work through as they deal with their new selves, the new Nigeria, and the unique relationship/reunited passion between each other and their native homeland. Some issues are spoken, while others lie under the surface only called out when they directly influence others in the open. These cultural subtleties make up a vast swath of this book and the author is adept at bringing them to light. This is fiction with a message, yet the message is conveyed in an appealing and socially conscious way. This book takes a deep look at race and immigration, specifically the intricacies of race and how that experience is different between the USA and Nigeria. In frequent conversations throughout this novel, readers are given a glimpse into what it means to be black in Africa and what it means to be black in the USA. The author takes readers on a tour of various countries as seen through the eyes of Ifemelu and Obinze. Their life stories play out over many years and many countries as they both struggle to find themselves amongst countries who value the same culture in different ways. I recommend listening to this book. While it may take you a little bit to understand the accents like it took me, I ultimately felt like it was worthwhile. The accents allowed me to fully engage with the book and realize that I was gaining a glimpse into a culture entirely different from mine. When I finished listening to this book, I realized that if I had read a print copy, I would have lost the accents completely, would have probably given the characters an incorrect accent, or would have imagined the characters with only slight accents. There really is something positive to be said about listening to books with narrators who really know how to correctly portray the characters.